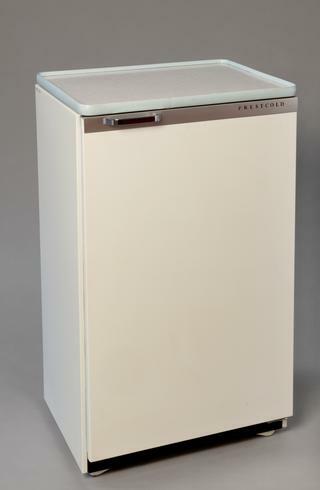 Prestcold Packaway' electric refrigerator, 1959. 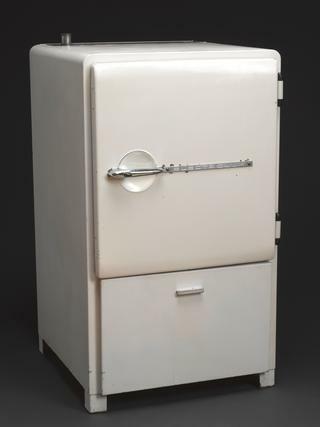 Monitor Top', electric compression domestic refrigerator, USA, 1934. 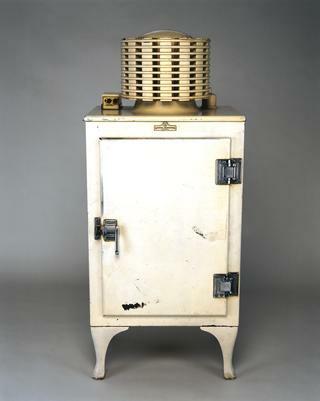 "Dry Cold Air" American Refrigerator, Clifton's patent, Size No. 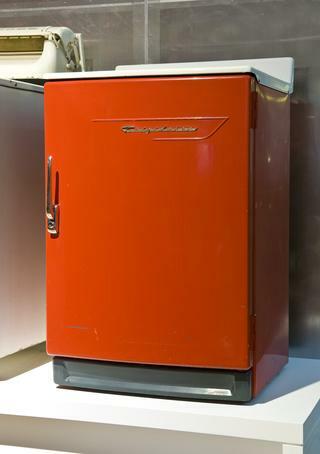 C1, machine No. 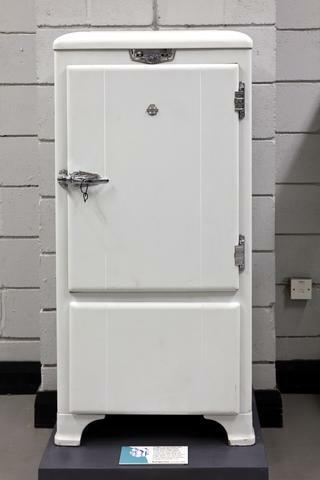 324. 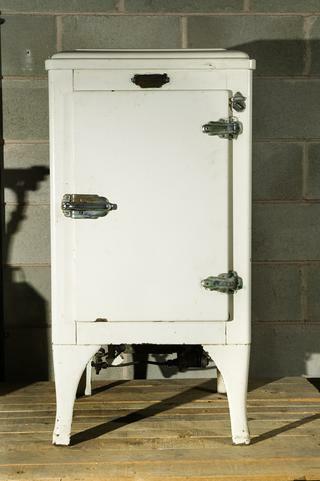 Manufactured by Chavasse & Co., London. 1880-1885.